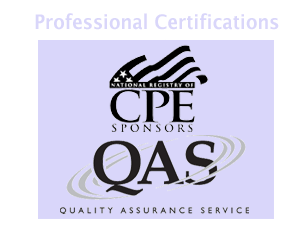 From time to time, we send out information to our prior CPE participants and other interested parties about "Hot Topics" relevant to the profession. These emails may include updates about upcoming effective dates of pronouncements, peer review tips, important new standards, and more. We will also keep you informed about Jeff's latest CPE courses. Please click the link below if you would like to be added to our email list.